This image shows a metastatic melanoma tumor in a lung. Blood vessels at the tumor site (yellow) express a protein called P-selectin. Blood vessels not expressing P-selectin are green. Nanoparticles targeting P-selectin would stop only at the blood vessels that feed the tumor to deliver the drugs. A major challenge in cancer treatment is making sure therapies destroy cancer cells without harming normal tissues. MSK researchers who are developing new types of nanotechnology to deliver cancer drugs have found a promising target — a protein called P-selectin that can aid in the formation of metastases. The researchers synthesized nanoparticles filled with cancer drugs to target them directly to metastatic sites. Cancer drugs must target tumors without harming normal tissue. Nanoparticles can carry drugs but must go to the correct site. A protein called P-selectin is a promising target. It plays a role in metastasis. Even as researchers design more-potent cancer therapies, they face a major challenge in making sure the drugs affect tumors specifically without also harming normal cells. This obstacle has thwarted many promising treatments. 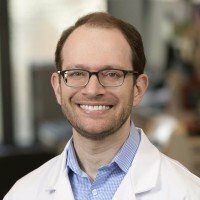 Memorial Sloan Kettering molecular pharmacologist Daniel Heller and colleagues have devised a novel strategy for addressing this problem. Rather than aiming directly at cancer cells, they are focusing on targeting a molecule in the blood vessels that feed tumors and using nanotechnology to deliver tiny particles that will stick to the target and unleash their payload of cancer drugs. The target, a protein called P-selectin, serves as a kind of molecular Velcro for cancer treatments. It is especially prevalent in blood vessels that nourish cancer itself — including metastatic tumors, which cause roughly 90 percent of cancer deaths and are especially hard to treat. “The ability to target drugs to metastatic tumors would greatly improve their effectiveness and be a major advance for cancer treatments,” says research fellow Yosi Shamay, lead author of a new study describing this method that is featured on the cover of the June 29 issue of Science Translational Medicine. Dr. Heller’s laboratory investigates the use of nanoparticles — tiny objects with diameters one thousandth that of a human hair — to carry drugs to tumors. The drugs are encapsulated within the nanoparticles, which must home in on a target within or near tumors to deliver the therapies effectively. P-selectin emerged as an especially good target for cancer-focused nanoparticles because in addition to being found in tumor blood vessels, the molecule aids in the formation of metastases. When cancer cells leave a primary tumor and circulate in the blood, the cells can adhere to P-selectin, exit the blood vessel, and form a new tumor. The ability to target drugs to metastatic tumors would greatly improve their effectiveness. Dr. Shamay made the nanoparticles out of a very abundant and cheap substance called fucoidan, which is extracted from brown algae that grows in the ocean. Fucoidan has a natural affinity for P-selectin, so the nanoparticle is simple to make and adapt. 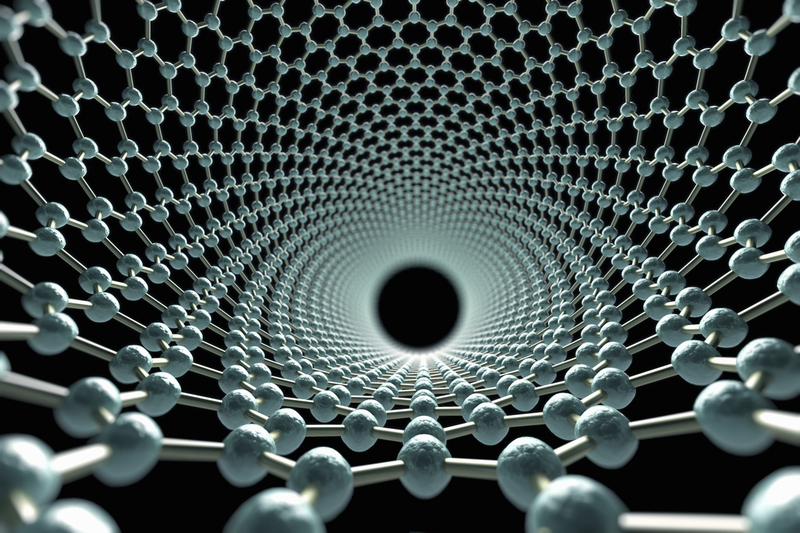 Learn about the work Memorial Sloan Kettering scientists are doing in the area of nanotechnology. Even when the tumor blood vessels don’t express P-selectin, the researchers could use radiation to trigger the expression of that protein in the tumor area before administering the nanoparticles. In collaboration with MSK radiation biologist Adriana Haimovitz-Friedman, they found that radiotherapy ensured that enough P-selectin was expressed for the nanoparticles to adhere to and deliver the therapy to the tumor. We're hacking into the metastatic process in order to … destroy the cancer. 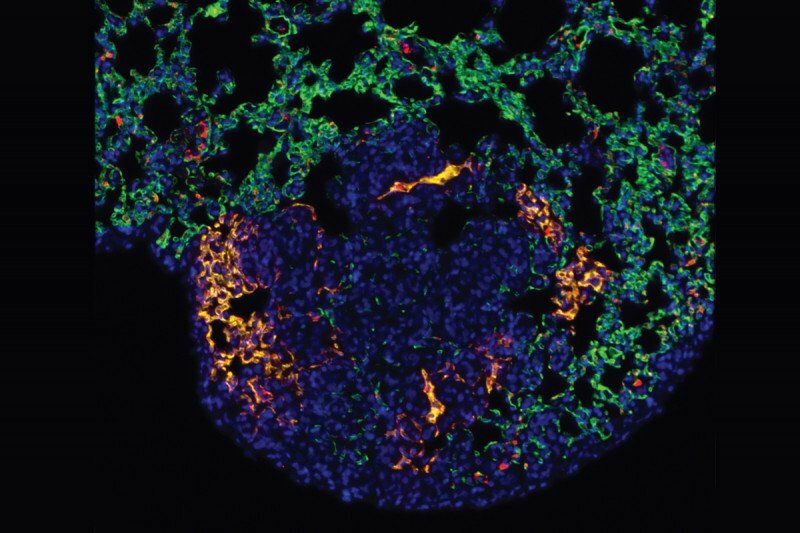 The researchers conducted experiments showing that the nanoparticles selectively attached to cancer sites, including metastatic tumors, in the lungs of mice. The nanoparticles were filled with different cancer drugs, including chemotherapies and newer precision medicines that target specific molecules in cancer cells. In collaboration with the laboratory of MSK Physician-in-Chief José Baselga and cancer biologist Maurizio Scaltriti, Dr. Heller’s lab used the nanoparticles to deliver a type of targeted therapy known as a MEK inhibitor, which has shown promise in several cancers. With this method, the MEK inhibitors were more effective against the tumors without causing the serious side effects, such as skin rashes, that have hampered many treatments. “The clinical potential of nanomedicines for cancer has not been fulfilled, but targeting P-selectin with these nanoparticles is an approach that seems to be broadly useful for all kinds of drugs,” Dr. Heller says. With advanced metastatic Prostate Cancer (PCa) in bones throughout the body, I have particular interest in the nanotechnology approach to attacking tumors and implied stopping/preventing further growth. Where is this concept in clinical trials? What will be the criteria for participation? When will MSK be able to interview potential candidates? Glenn, thank you for reaching out. This technology is still in an investigative stage so it is unofortunately not possible to predict when it might enter clinical trials. has any development been made towards clinical trials? We recommend that your stepfather talk to his MSK healthcare team about this at his next appointment. A doctor who is familiar with his case will best be able to tell him which trials may be appropriate. Provenge in florida Nov 13th. Are you aware of this treatment?